Q. When did the entire journey begin? A. The first edition of Wedding Asia started in 2006. We had started our journey from Ludhiana and now we are covering the entire Asia, spreading our wings to European, Canadian and American markets too. Q. 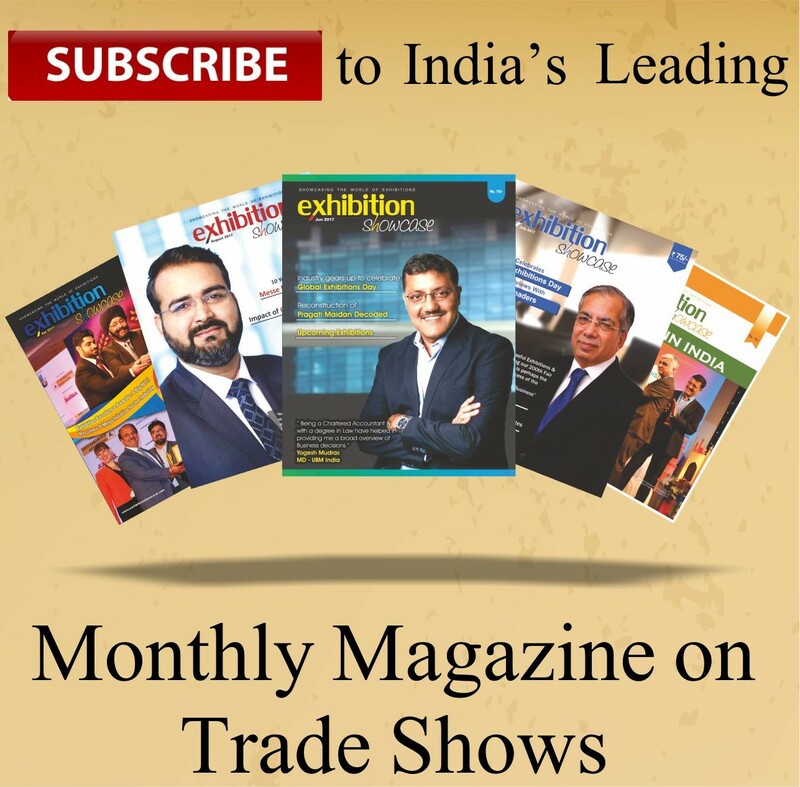 How is organising exhibitions abroad different from organising events in India? A. We have been organising shows abroad especially in Bangkok from past three years. We represent Indian Wedding Industry and we feel that it’s very important to spread it to the larger community. A large number of Indian Community is settled in different parts of the world. They are dependent on the Indian market when it comes to wedding related shopping. We are making the wedding fashion accessible to them by taking our shows there and easing out their worries. Q. What is your mantra of successfully organising a B2C exhibition of this scale? A. We do a lot of analysis and research based on which we structure our event. We design our entire show keeping mind the brides and grooms so we plan accordingly by studying seasons, review and understand the demand and take feedback from them. Q. A lot of lifestyle and fashion exhibitions fade out after a few editions. What has brought your show to this far? A. Our success mantra is the recognition and trust we have won over these years. Wedding Asia is one of the most admired brands and because of the bond we have built with our participants we get the right feedback. Our visitors freely suggest us about what they would want to see in the next event and we make sure that it is implemented. Q. What is your role in the organisation and which profile suits you the most in Wedding Asia’s entire event implementation? A. My part is majorly behind the scenes. I handle operational, structural and marketing tasks. We have a separate team altogether aligned for sales. We can call it a family driven organisation as the entire Wedding Asia team is like a family. We design our event for our visitors so there has to be a right blend. We need to sense what exactly a bride and groom would need and we try to keep a balance between all the categories. Instead of stuffing only one particular kind of product like bridal wear, we try to bring in multiple options for multiple needs for instance: we display a range of semi-formals, evening wear, home furnishing, etc. So we sense the requirements first and then design our events. Q. Online shopping is gaining popularity these days. Do you see it as a threat? A. I agree that online craze is there but even they have their own limitations as what we don’t see in these online stores is the Indian Ethnic wear. Lot of brands are struggling to get into the Indian ethnic space but there is a feel-emotions attached with the Indian wedding industry. You can buy services online but you cannot buy feelings online. And when it comes to Indian wedding market, it is a difficult market to operate in. Q. It is observed that you pay a lot attention in marketing your events. What is the reason behind it? A. It is important to market your event well so that it reaches our target audience and does not miss out any of them. We also stay connected with our clients throughout the year with various activities. Q. Kindly tell us about the 2017 edition of Wedding Asia. A. July is generally the time when people start doing their wedding related shopping and September to March is the wedding season. Wedding Asia is one of the first events of the season and it has become platform which now defined the wedding trends for the next season. All our exhibitors work really hard to bring out the latest collection. This year, we have around 90 stalls. In fact, we do their profiling to understand what products will work, similarly we suggest them whether it is the right season or not for them to exhibit. We have created a team of consultants who are doing predictions about the next upcoming trends. Exhibitors are also implementing those trends by designing their next collections based on it. Q. Are you also providing any concierge services to your clients? A. I feel wedding is not a business. It is something which has feelings attached with it and I am sure every individual has dreamt about their at least for ones. So we want to give them the right experience leading us to sense the need of concierge. We had experimented in our past few events and people have expressed their interest in using these services. It’s like a consultancy to them on ideally how they should plan their weddings. Though we are not into the planning services and the leads would be forwarded to the exhibitors only.